My skin has never looked better! The tone is more even, pigmentation has faded, the fine lines under my eyes have even decreased. I have also been using the body serum on my breast lift scars and the colour has faded tremendously! 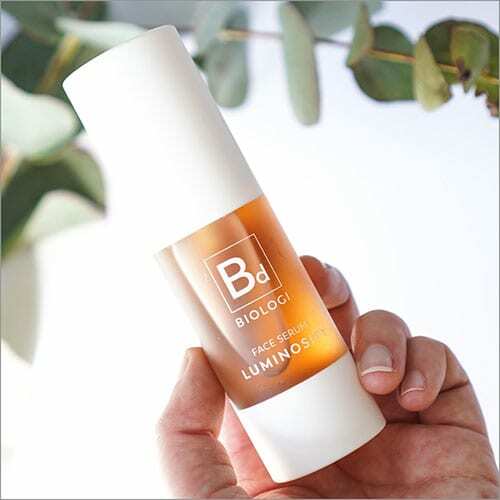 I’m so pleased with this product and will definitely be using Biologi for life!! Could not recommend more!! Having relocated to Tasmania a year ago I found my skin drying and cracking because of the weather changing. I was very used to soft supple skin and found this quite distressing. 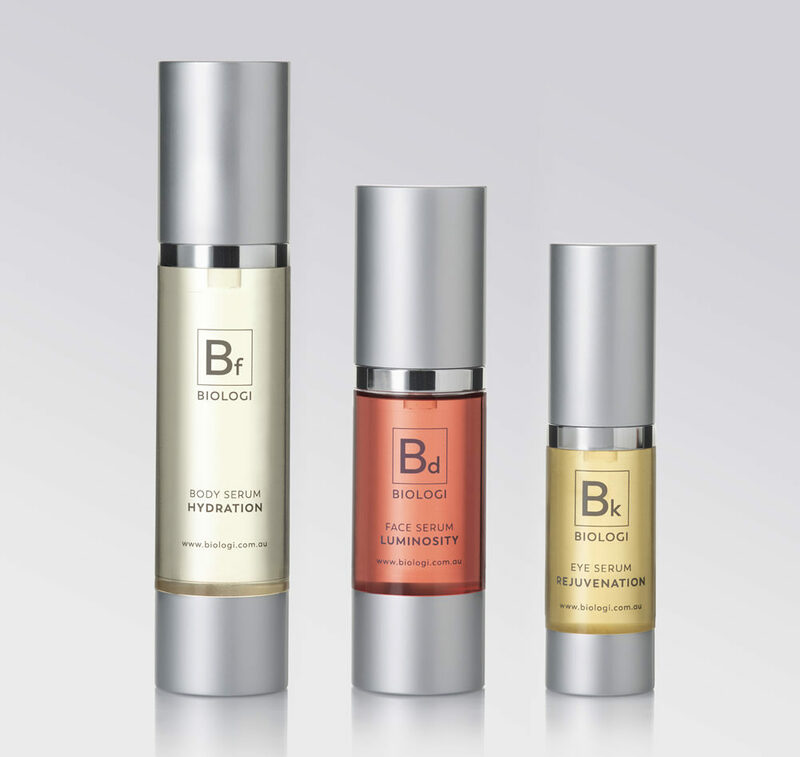 Recently I’ve started using the three Biologi products as suggested, the immediate change was astounding. 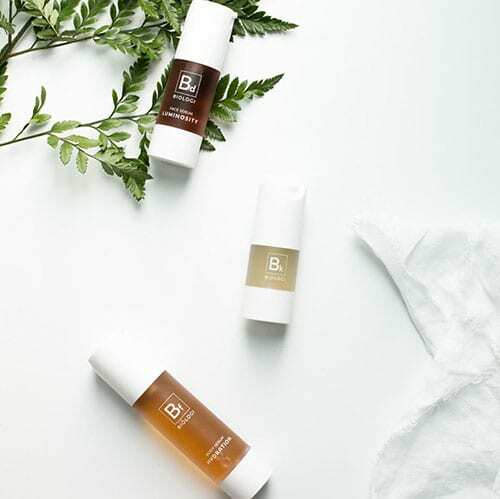 The simplicity in applying the serums makes it even more appealing and I’m sure it’s not my imagination that the facial lines are becoming finer and the sun damage less noticeable. I can’t tell enough girlfriends about the results I’m having and hopefully share the secret. Every little bit helps after you reach your sixties!!! I spent a year, researching this product. Originally i purchased the hydration serum a year ago, and used it incorrectly i ended up throwing it out and calling it a day. Then i became interested again and researched for a year and asked questions on all the live videos, and personally to the biologi instagram inbox. I saw reviews online that said “It’s just fruit juice, how special could fruit juice be i could do that at home no?” “why is it so expensive for just fruit juice?” “all the reviews seem fake, sponsored and unrealistic.” <—- all that is what i want to give an honest pro/con to. I am 22 years old, I have mild rosacea and extremely fair skin and overall a sensitive skin due to past damage on my behalf from using to harsh of ingredients. My concerns are preventing aging, hydration, and reducing redness and sensitivity. I purchased, the hydration body serum which i use on the face. CON: It is too expensive! From the stand point of a University student i don't have nearly 100 dollars to spend on a fortnight of food let alone a skincare product. And i think this has been the common complaint among customers. I'm sure there is a reason for the high price tag, due to the unique extraction process, and the overall quality. But the hydration serum is the only one i could actually afford and even then it is costing me what feels like my arm and leg on afterpay and it's hard to find the balance between if this is so incredible that i'll lose my arm and leg for it, or if it's just okay and i could've used that money to eat instead. I think if you're a mother, if you're a student, an average person with an average income having to repurchase such an expensive product is a lot. It tells you to cut other aspects of your skincare, which is fine. But 100 dollars, could be the serum, cleanser, sunscreen, it could cover everything not just 1 product. So the price factor, seems to be a large turn off to people including me, and seems to be a large reason from who i've spoken to as why people won't repurchase which is a shame. – It has made my skin extremely soft. I never purged and when i got over the sticky phase the product became easy to wear. My skin is extremely soft and when i wake up in the morning, i still feel it on my face, despite rolling around the pillow all night. My skin hasn't felt this soft, in years. Probably, skin i first started using skincare. When they claim that it repairs the layers, i believe that. 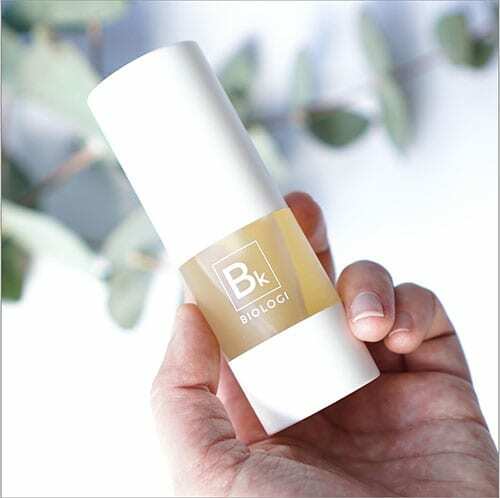 Because my skin, is smooth now without any product at all and nothing in my routine cleanser, face spray nothing has changed but the added biologi. The softness keep's me coming back. It helps my redness, and over wearing it for many hours, my redness continues to reside more and more. It is amazing for sensitive skin and i agree with this claim to. On the day's when my skin is highly inflamed, this has been a god sent. Especially the sensitivity around my eyes from wearing eye makeup to many days in a row, the hydration serum has really helped to reduce the sensitivity. Overall, it gives me a healthy glow. And, i used it entirely through the christmas period and it defiantly got me through all the junk food, and large intake. I can't say that it prevents aging, that it's worth the price tag, that it is the best product you'll ever use in your life. But i will say i like it, i see improvements in my skin, by touch and feel especially, mentally it's nice having so much spare time because you only need one product at night. 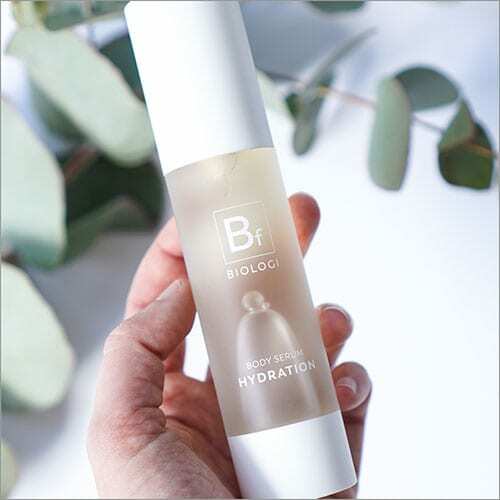 cleanse and get your biologi out done. But, the largest fall back, is that the price is high for the claims being made. And maybe if i tried the other products i'd have more to say then just "i like it" like the face serum, that has exfoliating properties maybe i'd see bigger changes but the price tag is to high. Overall: I MIGHT purchase again But if i do, it'll be for going away. It's a great product to use when you can't take a lot but want similar results to that of a face oil without the greasyness. HOWEVER, the price tag will always be the largest down fall and i'm excited to see more before and afters. Sadly, i can't say much and i'm sorry if that make's this review not helpful. I’ve been using all 3 biologi serums for about 1 month. I’m 34 with super dry skin, a busy mum of 2 and heavily pregnant with my third child. My skin was lacklustre and really starting to show fine lines. I saw so many amazing reviews for biologi I thought this is worth a shot. At first I did break out but by week 2 I noticed a huge change in my skin. The eczema on my eyelids is completely gone, my skin is no longer dry, my skin tones overall appearance has improved and no longer red and my favourite result… the wrinkles in my forehead and around my eyes are hardly noticeable. This product is amazing I’d recommend it to anyone! Thank you from one very satisfied customer!! My poor skin saver, have suffer from dermatitis for the past few years, tried so many lotion and products none of them are like the Biologi. It calm my skin down very quickly. Out of all of the ooey gooey gunk and goodness that we have to keep putting on our faces and bodies, this is by far the best. It’s amzazing at hydrating and repairing! I’ll never revert to anything else.